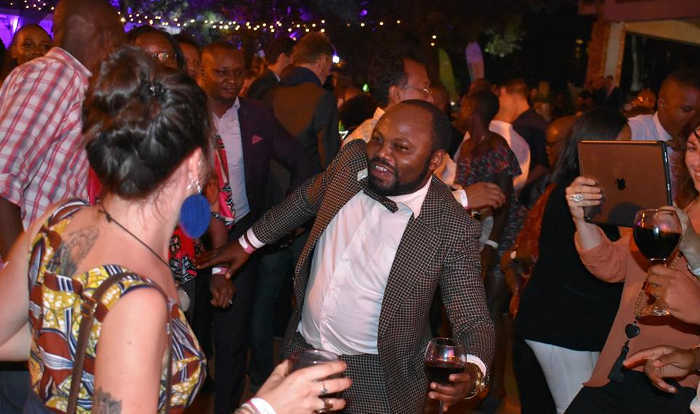 The third week-long Uganda-Friendship Week geared off last Saturday at the Lugogo By-pass Ecole Francaise Les Grand Lacs (The Great Lakes French School) devoted to a celebration of the French language, culture and aspects of Uganda’s folklore and tourism. The events held at the Kyadondo Rugby Grounds, featured the finale of a rugby match pitting the French Pacific Army Rugby’s 15 against Uganda’s Rugby 15. It also featured shows by Uganda’s premier musicians such as: Cyndi, Lydia Jasmine, Virika, Eddy Kenzo, Bennie Gunter, Fete Buusi, Fik Fameica, King Saha and Tabulo Dancers. In between there have been events that have displayed Uganda’s tourism, fashion, traditional folklore dances, food, sports, acrobatics and a social gathering of military and security officers from Uganda and from various embassies in Uganda. As a collaborative participation in the events, the French Pacific Army contingent also displayed their vigorous and masculine Maori dance presentation. 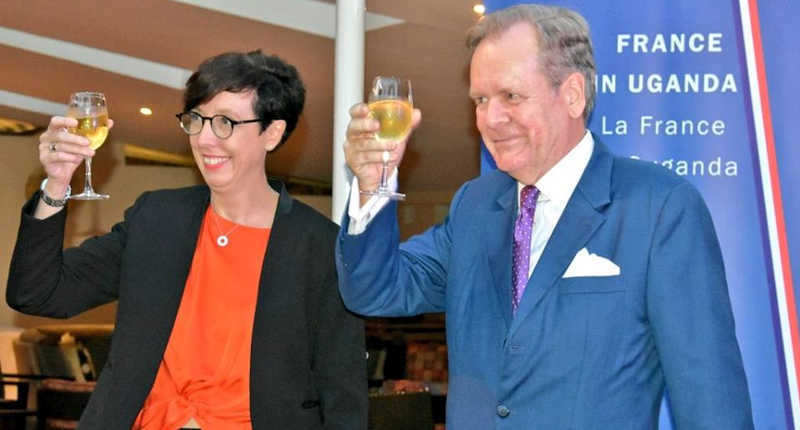 In a special way, these events will also mark the end of duty in Uganda for the French Ambassador, Stephanie Rivoal, who will depart for another assignment in Paris, France, in a week’s time. In an address to participants of the Tourism Day at the Ndere Troupe Cultural Center, in Ntinda, Madame Rivoal said that she leaves with fond memories of Uganda. “As I am leaving, I get emotional in having to contend with images of the people, culture, wildlife, food and the other things of the lot that Uganda has to offer,” she said. But she welcomed having to share in the week-long activities that indicate a great deal of what France and Uganda share in common. At the Fashion show in her residence, Rivoal was wistful about how she would be remembered as she turned out in the black dress designed by Josephine Nakafero, one of the showcasing couture designers. “Dress shabbily, people will remember the dress; dress splendidly, and people will remember the woman,” she intoned. At the Ndere Center occasion, the Vice President of the Easy African Tourism Association, Mr. Boniface Byamukama, who was standing-in as guest of honour in place of the Minister of Tourism, Wildlife and Antiquities, Mr. Ephraim Kamuntu, said that he had enjoyed a cordial relationship with the French envoy. He added that the French Embassy had done a lot to develop tourism in Uganda. In particular, France had developed the potential of management and research of the Kibaale National Park; and has assisted in the capacity for the local tourist operators in the private sector to operate efficiently. The festive events organized by the Embassy is with the support of more than 40 international and local sponsors and partners with a wide range in activities spanning: tour operators, banking, building, security, hotels, fashion designers, tour operators and journalists. It has also brought together the French-speaking communities in Uganda covering such countries as: the Democratic Republic of Congo, Burundi, Madagascar, Senegal, Ivory Coast and other francophone communities. Some of their artistes and musicians have showcased at the various events. As we go to press, there are two more days of activities of the week. At the Le Chateau restaurant in Gaba, the famous French chef, Henry Gilles, will oversee the cooking of a special dinner for more than 200 invited guests. And to mark the day, other restaurants in some classy hotels in Kampala will also prepare French dishes for their clients. On March 22, Madame Rivoal visited school children in Naguru Primary School and Naguru Remand Home and was treated to various sporting activities. The celebrations climaxed with a rugby match between the French Pacific Army and Uganda Rugby team.